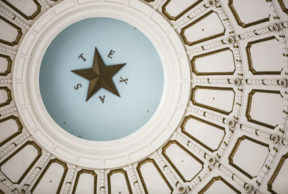 Monday, March 2 is Texas Independence Day – and the first day Texas Standard begins airing statewide! To celebrate, we asked Sean Petrie with Austin’s Typewriter Rodeo to pen a poem. We became our own state. And we’ve turned out pretty great. Who’d like us to secede. ‘Cause we’ve got all that we need. Is Texas Ready for a Soccer Insurgence?